Delicately-flavored with a light, creamy texture, Goat Cheese and Roasted Cauliflower Souffles are great for a vegetarian lunch or brunch with a side salad. I’ve been dying to share these soufflés with you since about two days after I posted the Braised Leeks. 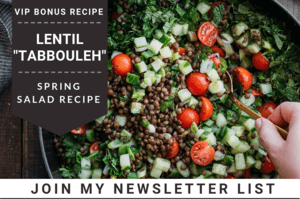 Alas, every time I sat down to write the recipe, some unexpected twist in my day pulled me away from the computer. Three calls to tech support, eight hours, and a full system restore later, “Soufflé Day” had once again evaded me. I’m typing furiously from my iPad tonight with bated breath, hoping to get this recipe posted before another comedy of errors comes my way! About a month ago, I stumbled upon a beautiful photo of Cauliflower and Goat Cheese Soufflés in Saveur magazine. 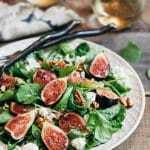 Ever the tweaker, I wondered how the recipe would taste with one of my favorite flavor combinations—sweet, buttery roasted cauliflower and garlic—in place of the steamed cauliflower the recipe indicated. 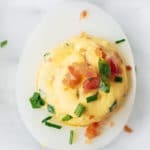 Long story short: I ended up making these soufflés four times, adjusting the egg/cheese/cauliflower ratios until they were just right (at least, “just right” for us). The cauliflower flavor isn’t overly assertive here; in fact, these soufflés are as delicately flavored as they are textured. I’m forever indebted to my loyal taste testers who, I’m sure, were downright souffléd-out by the end of this little project! 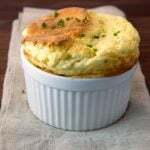 At its core, a soufflé is really just a creamy base (sweet or savory) combined with whipped egg whites and baked until puffed and golden brown. The best soufflés have a light, airy, melt-in-your-mouth texture. They make a beautiful appearance right out of the oven (a real showpiece if you’re looking to impress your guests). Sadly, their characteristic “puff” has gotten a bit of a bad reputation as being finicky and difficult to attain. I had read so many doomsday scenarios about soufflés the first time I set out to make them in college, I nearly chickened out. That is, until I pulled out my French Chef tapes—good old VHS—and fast forwarded to the Cheese Soufflé episode. Julia Child made every cooking project seem doable! The key to success, in my humble experience, lies equally in reasonable expectations (i.e. accepting that your soufflé will deflate the longer it sits at room temperature and that this is normal!) and the eggs. 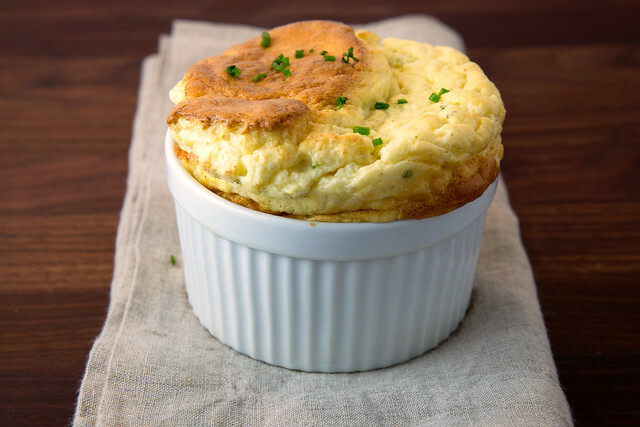 The lightest and most delightful soufflés are all about the egg whites. I’m certainly not reinventing the wheel here, but I would be remiss if I didn’t mention these universal soufflé-making tips. I always separate my eggs while they’re chilled for the cleanest results. Once separated, the whites should come to room temperature for the quickest and easiest route to stiff peaks. It’s also important to make sure that both your whipping bowl and beaters are clean and dry. 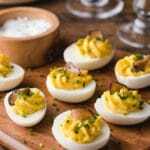 Any oil or fat in the equation (including rogue drips of egg yolks) will make it impossible to whip the egg whites properly. 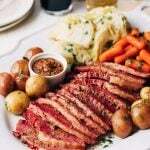 While whipping, you’ll want to keep a close eye on the whites and stop when they’ve attained stiff peaks, but are still moist and billowy in appearance. Over-whipping the whites until they’re very stiff and dry will make them difficult to fold into the base without deflating, and will stunt your soufflé’s rise during baking. While we’re on the subject of the rise: as I mentioned, deflation is inevitable. A soufflé isn’t the kind of dish that you can pull out of the oven and hold on the back burner for 15 minutes while the chicken finishes cooking. If you want to capitalize on the “puff” you worked so diligently to achieve, the soufflé needs to go almost directly from oven to table. 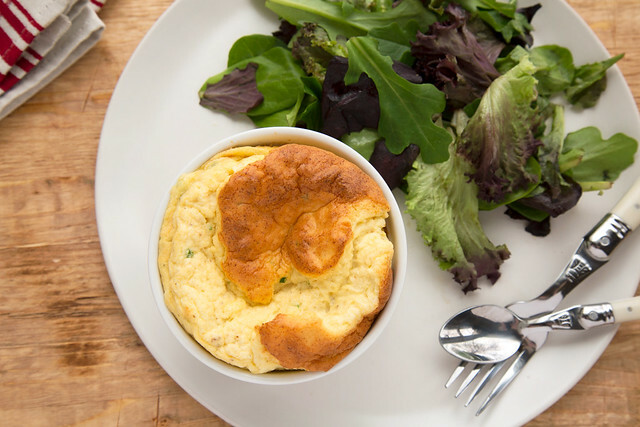 Rest assured that if your soufflé does deflate, it’s still going to taste great. It just won’t have that show-stopping appearance, and the texture will densify a bit. Personally, I’d never say “no” to a fresh soufflé, deflated or not. 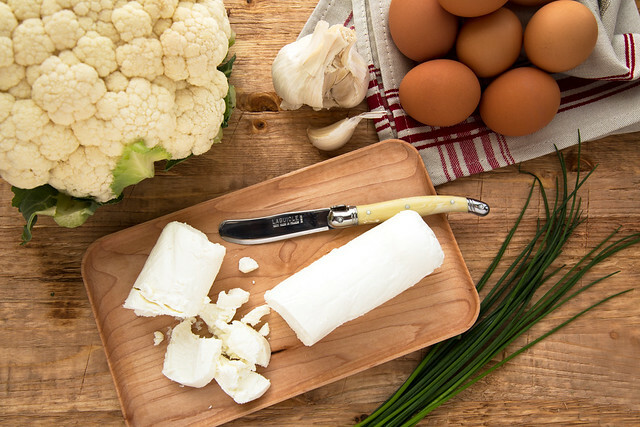 Goat Cheese and Roasted Cauliflower Soufflés make a delicious vegetarian lunch or brunch (I like to serve them with lightly-dressed greens), and are great for Meatless Fridays during Lent. Something about this dish just says “Spring” to me, a change I’m sure we’re all ready to welcome with open arms. On that delightful thought, I’m going to hurry up and hit “publish” on this post. It’s been an hour and a half since I started working on it, and I’m sure I’m pushing my luck for, oh, I don’t know, a WiFi outage limited to my house only, or spontaneous combustion of my tablet. We’ve all had those kinds of weeks, haven’t we? 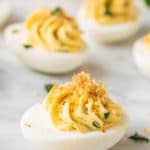 Butter six, 10-ounce ramekins and coat each with about 1 tablespoon parmesan cheese, tapping out excess. Place ramekins on a baking sheet and chill until ready to use. Cut parchment collars for the ramekins to extend past the top of each ramekin 1-1/2 to 2 inches. * Set aside (don't secure onto ramekins until ready to bake). Preheat oven to 400 degrees F with rack in middle position. Cut a small slice off of each end of the garlic cloves, exposing the interior without removing the peels. 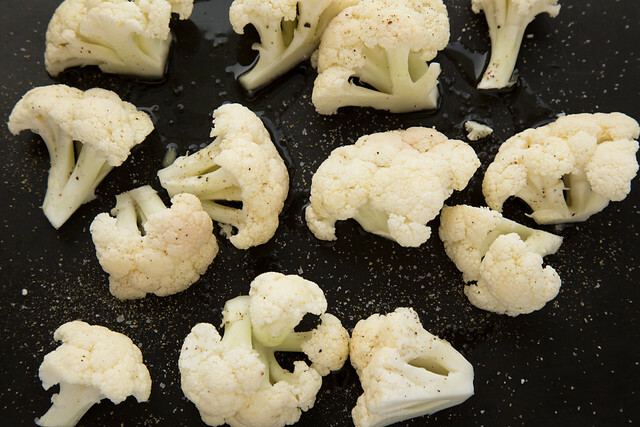 Toss cauliflower florets, garlic, and olive oil on a baking sheet. Sprinkle with a few pinches of kosher salt and freshly-ground pepper. 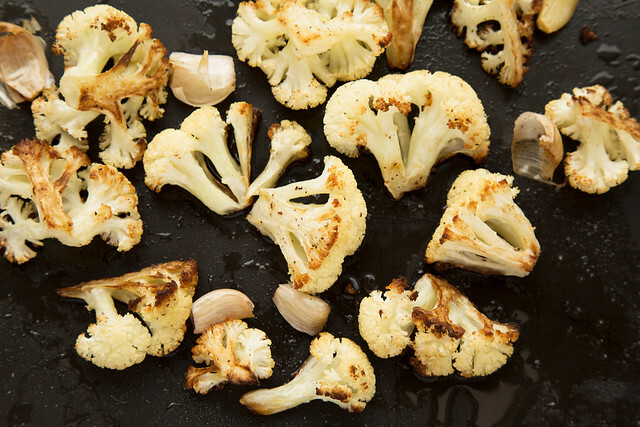 Roast 25-30 minutes, turning cauliflower florets halfway through for even browning, until tender and caramelized. Remove from oven and set aside to cool. Squeeze garlic cloves from peels and discard the skins. Make the Béchamel Sauce and let cool 2-3 minutes. 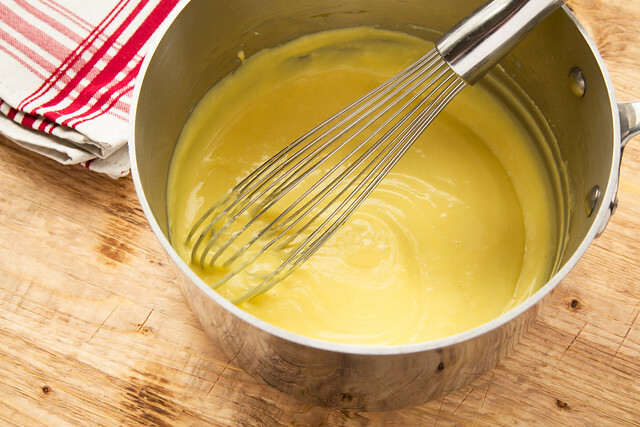 Whisk in egg yolks, one at a time, until fully combined and smooth. Place a piece of plastic wrap onto the surface to prevent a skin from forming and set aside. 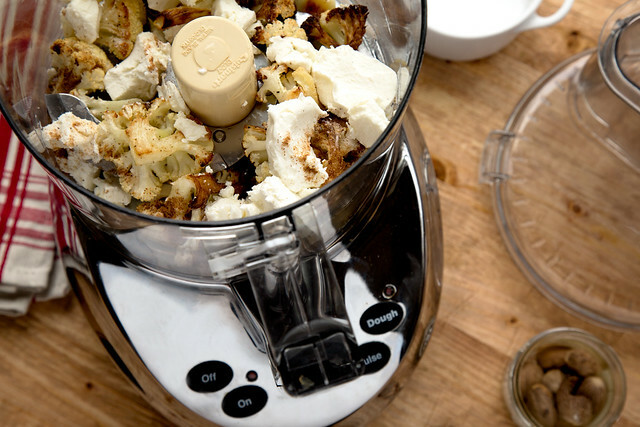 In a food processor, process roasted cauliflower, garlic, goat cheese, ground nutmeg, 3/4 teaspoon kosher salt, and a few grinds of black pepper until you have a smooth puree. Scrape the bowl as needed to ensure that all of the cauliflower is incorporated. 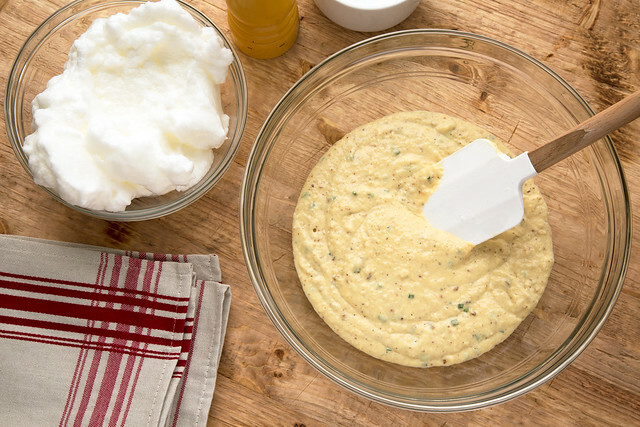 Whisk cauliflower puree and 1 tablespoon chopped chives into the Béchamel-egg yolk sauce until combined. 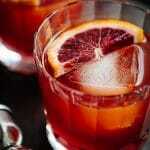 If the mixture is still warm, let it stand until it reaches room temperature. In a stand mixer fitted with the whisk attachment, or a clean bowl with a hand mixer, whip egg whites until foamy. Add cream of tartar and continue whipping until whites are voluminous and stiff, but not dry. Whisk about 1 cup of the egg whites into the cauliflower mixture to lighten. 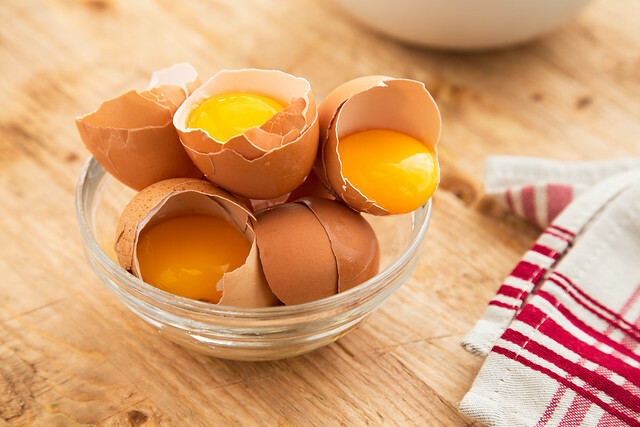 Using a rubber spatula, gently fold in the remaining egg whites in 2-3 additions, until no streaks remain. 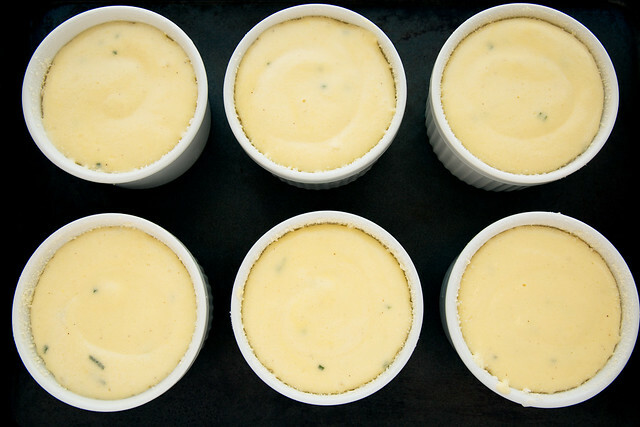 Divide the soufflé mixture between the six prepared ramekins. Grease pre-cut parchment collars and secure onto the exterior of the ramekins with kitchen twine or pins. Place the ramekins (on the chilled cookie sheet) into the oven and immediately reduce the temperature to 375 degrees F. Bake 25-30 minutes, until soufflés are puffed, light golden brown, and a tester inserted into the center comes out clean or just slightly moist. Remove from oven and gently but swiftly remove collars (soufflés might deflate a little during removal). Sprinkle with chopped chives, if desired, and serve immediately. This story killed me hahaha- I’m so glad that you finally were able to make the souffle! It looks so fluffy and delicious! And I have actually NEVER MADE a souffle- I’m totally intimidated by the deflation. I’m just going to do it! 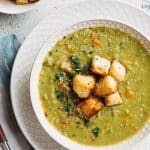 And I’m on a huge cauliflower kick so this is perfect! So, first – I’d like to be one of your official testers and second these souffles are absolutely luscious looking. Sign me up! Wow, your soufflé is absolutely beautiful! Love that you added goat cheese. Looks really good. 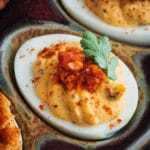 I am going to try making it this week. 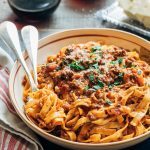 Can this be made in a bigger pan rather than making individual servings? Hi Sush. 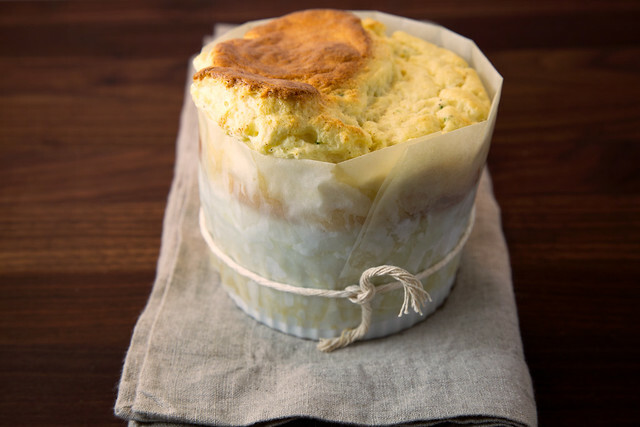 Yes, the soufflé can be baked in a large, 2-quart soufflé dish (similarly fitted with a collar). The baking time will likely need to be increased by 5 minutes or so, but keep an eye on it. Enjoy! I am so impressed. What a cute Souffle!! This is a pretty little lunch idea or light dinner. I must give this one a try for sure! 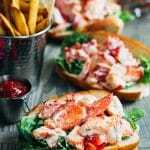 These look divine! I can’t wait to try them. So beautifully photographed too! Thanks, Caroline! I had fun photographing these. I usually take my time photographing a finished recipe, but hot soufflés wait for no one! :) It was a fun process. Thanks for reading and commenting! I was just wondering if you could use soy flour and get Goethe same consistency? Hi Autumn, thanks for reading and for your question. I’ve never tried making a Béchamel with soy flour, so I can’t speak from experience on the substitution. I’m not sure that it would thicken the same as all-purpose flour (soy being one of the lower-starch gluten-free flours). I do know soy flour has a stronger taste, which might not meld as well with the other flavors in these soufflés. Thanks so much for your very nice comment, Kim! I hope you enjoy these soufflés as much as we did if you try them! 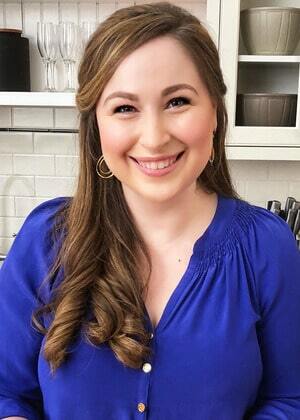 Hi Carmella – I love soufflés, but the combination of a soufflé and a cruise sounds even better! :) Thanks for commenting!